Home » gifted » parenting » What If Michael Phelps Trained in a Kiddie Pool? Does anyone dare to deny Michael Phelps' gift for incredible speed? Does anyone suggest that with a proper growth mindset an average swimmer can become Michael Phelps? What would happen to American success in sports if our nation treated our Olympic candidates the way we treat our academically gifted children? Imagine that, as a 5 year old, Michael comes to his first official swimming lesson. He already knows how to swim. He always loved water and was fearless about it. His father took him swimming. His older sister showed him her killer butterfly moves, His older brother challenged him to dive from the diving board. He is excited and cannot wait what his coach will teach him. But the coach says, Whoa, buddy! Slow down. You are jumping too far. You are swimming too fast. You are making other kids feel bad. You are not supposed to know this swimming style just yet. We will teach it to you when you are 8. 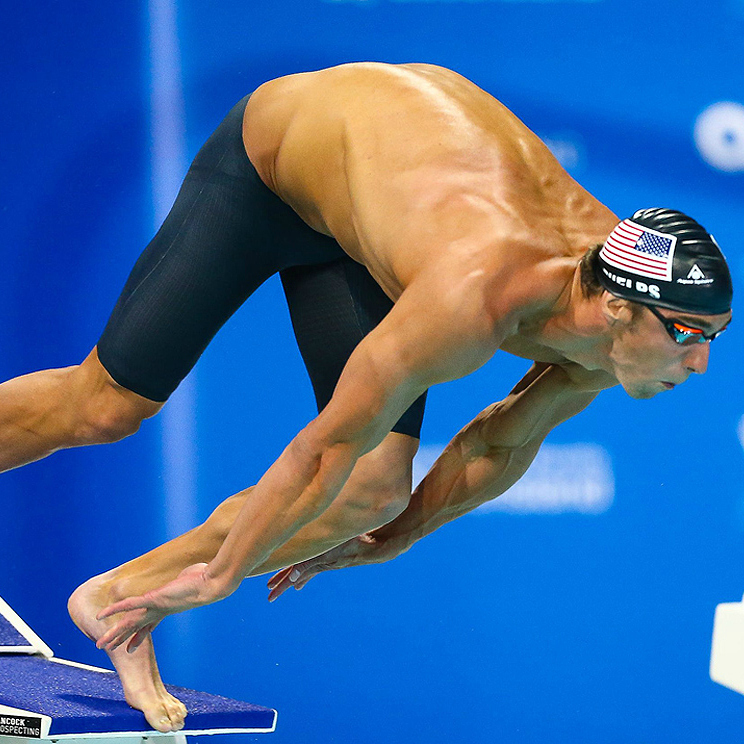 Do you think Michael Phelps would retain his passion for swimming? When young Michael is 7, he wants more challenge. He wants to test his skills against other swimmers. He wants to go to swim with older kids. But the coach says, Wait a minute. We have teamwork here, and you need to stay with your age. We will put you on a mixed ability swim team. You can swim as fast as you want, and everyone wins. 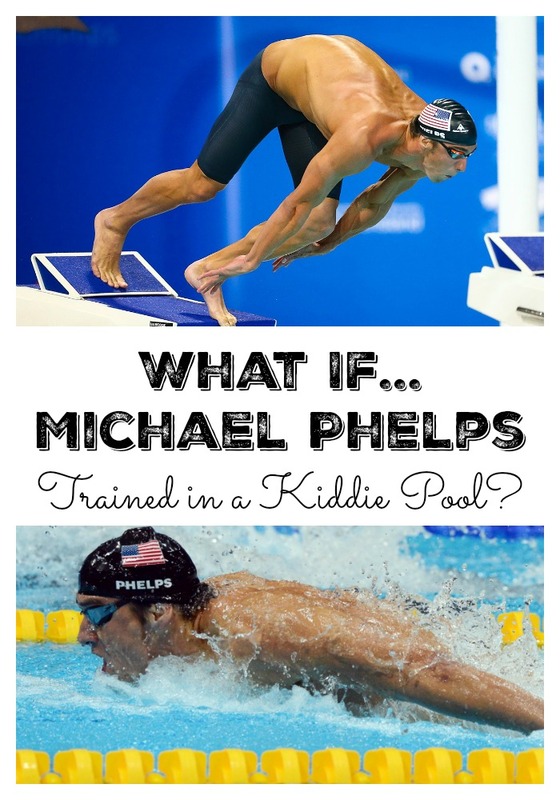 Do you think that Michael would be motivated to develop his swimming teams to the best of his ability? When young Michael is 9, his parents are concerned that he feels burned out and loses his love of water. He seems angry and disengaged. They ask if maybe a more experienced coach can take over. But the head coach says, Trust us - we are experts here. We are an excellent swimming school. We train champions. Look at Michael's results - he is already ahead of what is expected of his age, so he will be perfectly fine. He just needs to work on his attitude and help his teammates succeed. Do you think Michael would go on training to become an Olympic legend? Yet, we do exactly this thing to our academically gifted children. We say that "All Children Are Gifted"
Yes, we keep saying that all children are gifted with all the passion parents have for their children everywhere. I am sorry that in our educational language the word "gifted" is reserved for people with higher than average IQ. Yes, all people have gifts, but not everyone has higher than average IQ. It's just like saying that every child can be on a swim team because they were introduced to water and then extend it further saying that every swimmer can become an Olympic champion "if they try hard enough". 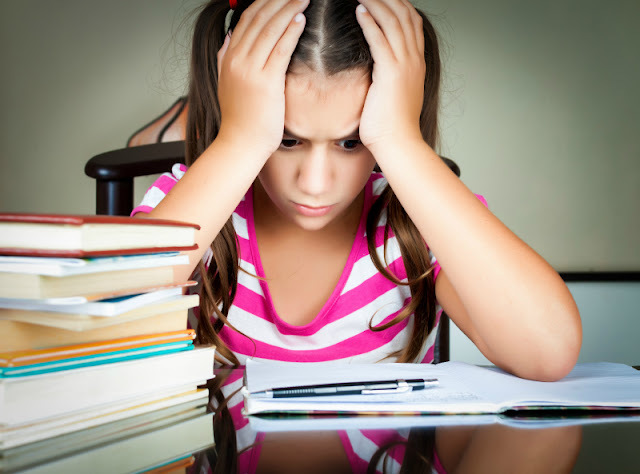 Have you noticed an ongoing attack on gifted education that is happening in this country? Our state of California has completely given up any governance of gifted education letting local districts decide what to do. Not surprisingly, districts decide to spend their money on majority of students. Our academic minds are telling us that ability based grouping does not work, because kids in bottom groups feel bad and don't perform to their ability. What about kids in the top group? Oh, they will benefit from sharing their knowledge with others and won't feel so pressured to perform. Say what? Well, why don't we send a "mixed ability" swimming relay team to the Olympics and see if they can beat a team from another country with athletes chosen by their ability to swim? This notion keeps going round and round. The public opinion holds that gifted public schools are catering to kids of wealthy parents and their student bodies are predominantly white. People believe that kids are "hothoused" for entry to these schools and students of color are unfairly denied access. Unfortunately, this disbalance in gifted education does exist, But the call to action should not be to dismantle existing puny public gifted education options, but to make them more equal and accessible. Just like we have a National Olympic Committee, we need a federal effort to equalize the ridiculous tapestry of gifted education laws and "guidelines" in our country and focus on making it more accessible to our least privileged students. And let's dispense with the myth that public gifted education serves kids of wealthy parents. Outside of a few super-wealthy districts, these parents can buy themselves out of the struggles of public education system. In our area, we have no public gifted schools, but several private gifted schools with a yearly price tag of $25K-30K. The wealthy elite is telling us that public gifted education is unfair while quietly sending their kids to private schools. Imagine how our Olympic national team would look like if only wealthy kids were prepared enough to make it to the Olympic trials? Will We Ever Support the Brightest Minds? We are society in the middle of the change. Being a geek is more accepted than it ever was before. We know that we are contributing to a lot of challenges for our future generations - a racial divide in our communities, job loss to other countries, terrorism, mounting national debt, climate change. We have precious human capital on our hands - our children's' intellect. Mind is a terrible thing to waste, so perhaps it's time to support the brightest minds of our society just as much, and even more, as we support our strongest bodies! This is brilliant! You are so right. I agree with you 100 percent and I do not have a gifted child. It is a similar story on the other end, however with the pushing kids along to make it look like they are one of the crowd, when they cannot and it would be best if the teachers would just meet the child where they are. This is a brilliant commentary. I was thinking the same thing watching the Olympics, and how absurd it is when people assume that grit and mindset can "will" someone into excellence. We hold kids back all the time - except athletes, where it is common knowledge that some are much more talented than others. Thanks for highlighting this serious problems in our schools and in society. It's about time we have personalized education in America. If we can get personalized coffee, why not education to cater to individual needs, regardless of giftedness or not. I've heard both sides of the argument and I believe the term "giftedness" is loaded because it infers a genetic component that cannot be changed regardless of experience. The Olympians don't ever say, "I'm a gifted swimmer." Instead, he says, "I worked hard and I had support from my parents, swim coaches, etc." In order for our country to excel, you have to give everyone the dream of soaring high, not just the top 1% who is genetically endowed. You have to give hope to even those who struggle. Unfortunately, our education system is not set up to reward the high achievers in the long run. Scientists do not get paid nearly as much as they should. There are phDs who struggle to find work. There is no cause/effect feedback of working hard in school leads to success. Look at Finland. They were able to overhaul their education system so everyone benefited. They rose together. Their system is built on research and child development. They don't focus on early academics but the work they do in later years is rigorous. Countries that are successful in educating their young value teachers and pay them appropriately. There is respect because they know the path to success is to study hard. They don't focus on tests (because that forces teachers to teach to the tests) but rather allow time for teachers to improve their pedagogy. I truly believe that if we are to bring up the level of education in America, we need to stop disputing over who is gifted and who is not and focus on personalized education for all. We need to get America on board to excel not only in sports but academics as well. For gifted advocates and parents of gifted children, this is the most compelling argument we have. Thank you for writing it up in a concise, clear article. I would urge all parents, teachers and gifted advocates to print this article and hand to those who believe the myths about educating our gifted children! Well-said, very well-said! You hit this one out of the ball park!! Or Olympic-sized swimming pool! Way cool and so spot on! Keeping in mind that Phelps' family did probably pay for his coach, they certainly didn't hold him back the way our gifted kids are held back. So excited to share this EVERYWHERE! Great article! I had to end up doing the schooling for my gifted son after interviewing several schools in my area. One school claiming to be for gifted children allowed all of the siblings of a gifted student to attend, gifted or not. At 4 years old the school tested my son for admission and he got the highest scores on all factors, except they claimed his "gross motor skills" were substandard. During their test he had refused to catch a ball (didn't like playing ball), and I hadn't taught him yet to skip. So they disqualified him on that! I found out that the school only wanted families with a six figure income, which we didn't have at the time. They even went so far as to say he had neurological problems. His pediatrician said they were freaking nuts and there was nothing wrong with him. My only option was to "home school" him, which I ended up calling "class schooling". I drove him around to all of the awesome home schooling classes I could find. The people teaching the classes had such passion and knowledge of their subjects. They were geniuses in their own right. For his last year of school he had to attend a public high school, because the charter schools (with which we were using to school him) had run out of accredited classes for him (calculus, physics C, Spanish 3, etc.) He took 3 computer classes at community colleges during high school and is now enrolled to go to UCI in September. He did not like attending the one year of the public high school. They treated him like a little child. Glad that is over. What a nightmare. The guy giving the AP tests was a real jerk, talking down to all the AP students (like they were all little criminals), who were the best and the brightest. It infuriated me. I hope he enjoys UCI and has a happy life. We had lots of great times together while schooling him. Every day was a field trip! Great article! I loved reading this, because I have seen it and felt it so many times before. I think our nation would be transformed if we were willing to invest in academics the way we invest in athletics. I also find it very frustrating how the US invests so much into sports but very little into gifted or special needs. I've got a 2e child and have been on both ends of the spectrum with education. Yet look what the US spends on training athletes for the Olympics! Phelps has fabulous muscle tone - which he can improve and has no limits it seems. My son, in comparison, has low muscle tone (hypotonia) and can only improve his muscle tone to a point. Yet both Phelps and my son, at times, have fabulous attention and memory abilities but only one of them has benefited disproportionately based on his athletic prowess. The US seems to be cherrypicking what they want to invest their money in. Without a national mandate for giftedness, my state can avoid providing any services and so they do! There is no state mandate for giftedness in MA. And yet, parents will spend thousands of dollars sending their children to private (gifted) schools and then even more obscene amount of money on sending them to elite universities. When we were living in NYC with our 2e child, the situation was even more distressing and dire. Special needs school can cost $30-50K or more there. Is it any wonder that many of us are ending up moving or turning to homeschool as an alternative? This is such a perfect analogy... I experienced first hand the benefit of GT programming in the public school system. One day a week, all through elementary school, I spent the day in our school's Gifted and Talented program. We learned coding on Apple IIe's, did long-term research projects about ancient civilizations, inventors, art and so much more. All in elementary school. I truly attribute those days as fueling my passion for learning, research, and developing my skill sets for project management - that fueled me through the rest of my education and career in hedge fund research. And it was brilliant to be surrounded by peers who were all as eager and excited to learn as I was. Yes, everyone should be afforded an education, but you can't apply the same education to people of varying abilities - you are limiting the potential for all of our society by just teaching to the middle, especially in public schools. The US public schools do not support Olympic athletes; the parents do. It's our culture that needs to change. The gym classes in schools as far as I know provide the minimum. For extra training, parents need to pay for personal trainers. Great article, though I would agree with what JL said, parents and private citizens pay for the Olympic training, so the government really doesn't fund any of it. That being said, the analogy is good. There are so many reasons this problem is true, and a great deal of it is because our schools are not equipped to turn out leaders, they are equipped to turn out workers. Also school districts have grown so much they are paying to maintain the district, not the schools (in many ways in a one room school you can advance according to your ability because all are being taught together, but that also has big disadvantages). We can definitely improve our schools. California schools are far behind the east coast schools in terms of academics, although I would argue they have better quality of life. The unfortunate side effect of those high achieving schools is the intense focus on testing which makes them pressure cooker environments. We need a paradigm shift. Correct me if I'm wrong but the US government doesn't train young athletes. Their parents pay for the training they receive. @Robin Ballew - no, the government doesn't train young athletes. However, young athletes showing promise get scholarships for their classes and, eventually, monetary rewards for their results. Let me repeat - they get rewarded while our gifted children are held back. They get rewarded through the free market system. Colleges give scholarships to athletes because colleges are a big business. I came across this story and thought of your post. I love rooting for the underdogs. "In our area, we have no public gifted schools, but several private gifted schools with a yearly price tag of $25K-30K. The wealthy elite is telling us that public gifted education is unfair while quietly sending their kids to private schools." "I found out that the school only wanted families with a six figure income, which we didn't have at the time. " More often than not, THIS is what "gifted" programs are all about. They aren't about challenging gifted children as much as they are about giving the children of the wealthy a leg up on their peers. This is a fabulous article, but I would add one more thought. What if Michael Phelps could only train with, say, a middle school swim team? This is what's happening to our profoundly gifted children because GATE programs only address the needs of the moderately gifted and high ability/nongifted students. As a Davidson Young Scholar family, we have discovered that most of our nation's brightest children are effectively forced to homeschool to find their fit because high ability/gifted magnets do far too little for them. Profoundly gifted children (in the top 99.99th percentile) have vastly different needs than moderately gifted. We need to add this to the discussion if we are committed to serving all of these students. Great article! I loved reading this. The article encouraged me to continue looking for gifted students and working to provide more to their level. Why Do I Send My Child to a Public School?